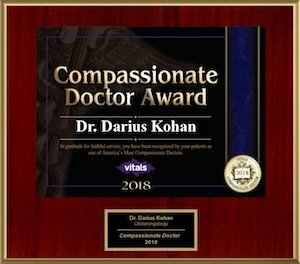 Darius Kohan M.D. 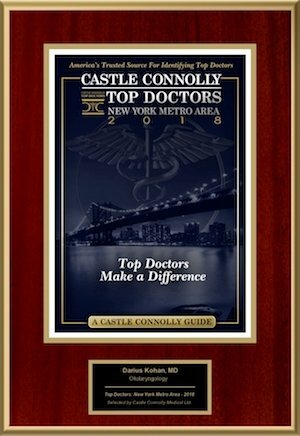 is the leading ear specialist in New York City. He is dual board certified in otology and neurotology and holds several esteemed positions throughout the city such as Director of Otology/Neurotology Divisions at Lenox Hill/MEETH, North Shore LIJ and Governor of The New York Otologic Society. 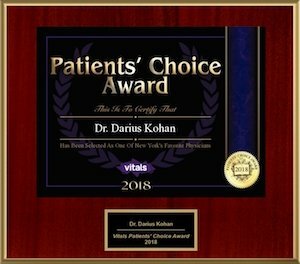 Welcome to the Website of Darius Kohan, MD. 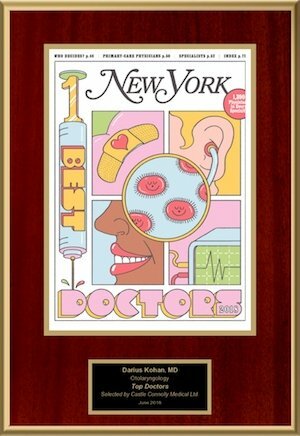 Dr. Kohan provides comprehensive care in all aspects of otolaryngology with a special focus on diseases of the ear. Otolaryngology is the medical specialty relating to the ears, nose, and throat (also referred to as ENT). Dr. Kohan’s staff provides patients with the best otolaryngology care in a humanitarian, caring, and comfortable environment. Your examination is tailored to your specific symptoms and needs. Dr. Kohan’s staff will schedule ample time for you to ask questions and have any specialized testing performed. 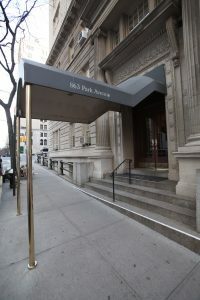 Dr. Kohan is a member of the faculty at several major medical centers: New York University – Tisch Hospital, Lenox Hill Hospital/Manhattan Eye and Ear Hospital, Beth Israel Medical Center, New York Eye and Ear Infirmary and New York Presbyterian – Brooklyn Medical Center. Dr. Kohan’s patients have access to these excellent diagnostic and surgical facilities. 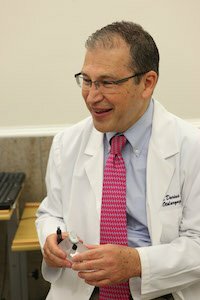 Dr. Kohan also participates in the Cochlear Implant Centers of New York Eye and Ear Infirmary and Beth Israel Medical Center. These affiliations allow Dr. Kohan the opportunity to provide his patients with the highest standard of care. 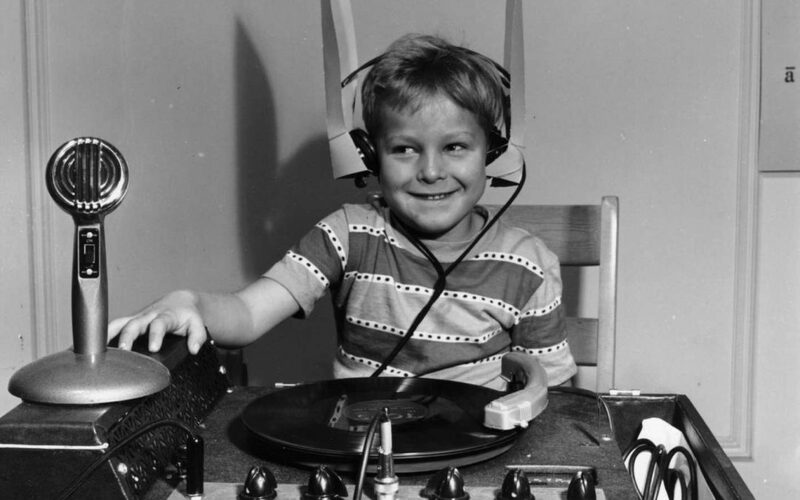 Dr. Kohan Interviewed About Strange Hum in Canadian city. Dr. Kohan interviewed on hearing loss from noisy restaurants. Dr. Kohan Fox News interview. Can dining out make you deaf?